Why does car insurance matter so much to those who are in low income or middle-class income levels? In most situations, a lack of coverage can be devastating if an incident occurs. And, contrary to what many believe, it is not uncommon for an accident to happen. For those who own a vehicle or who operate a vehicle for any need, there is the risk that something could go wrong. For example, an accident could occur due to no fault of the driver, but perhaps a malfunction of the vehicle itself. When this happens, it can cause a significant amount of financial loss for the property owner – both in terms of the loss and damage to their own vehicle but also to the damage to another party’s vehicle or property. One of the key advantages to having car insurance is that it helps minimize financial loss. If an incident such as this occurs, it not only impacts the driver who has lost his or her car, but also the ability to get to and from work. It can limit a student’s ability to get to school. Yet, a comprehensive car insurance policy can be very affordable. And, with it, there is a significant amount of less risk and less financial strain. For low and middle class families, having proper car insurance can mean the difference in replacing a vehicle and maintaining at least the same quality of life and suffering significant financial ruin. 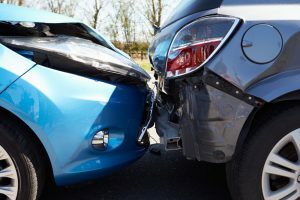 With an accident that causes medical loss, property damage, and liability concerns, the driver would be faced with years of trying to repay his or her debt. Yet, with car insurance, this is eliminated and no risk exists. Want to know more? Call us toll free on 0800 600 143 or 392 8264. You can also Whatsapp us at 370 2722 and get a free quote, or visit our web site www.alphadirect.co.bw for more details.